But technology marches forward to the beat of a relentless drum, and now, broadcast engineers are thinking about taking more advantage of what makes AoIP great–leveraging the IT industry’s push toward virtualization to do AoIP in different ways than we do it today. Enter the next frontier–we call it virtual radio–where products that were previously only found in hardware instances (think rack units) are available in other form factors or as hybrids. Some broadcasters are skeptical while others are already virtualizing their studios and have indeed told us they’ve purchased their last piece of physical broadcast equipment! Here, we discuss what virtual radio is and some of its potential benefits. Back in the stone age of radio, the idea of connecting a computer to a console – or anything other than a turntable or a CD player for that matter – was almost unheard of. All the associated studio equipment had to be physically connected to the console with a row of connectors. You might remember that, before the days of AoIP and CAT5, this bundle of wiring could be as thick as your arm! Now, many broadcasters are connecting directly via Ethernet using audio drivers or sources centralized in the equipment room coming through to the console over the network. Whether you are talking analog, primitive digital, or AoIP, the words “radio console” conjure visions of hard surfaces lit up with blinking lights, filled with faders and switches. The concept of virtual radio takes studio design out of the physical realm and into the world of software and apps. Just like you can use your smartphone to listen to music or play games without a CD player or a game console, virtual radio software and apps let you execute all the functions of a radio console or other studio gear on a computer or tablet. In fact, there might not even be a physical console surface, just a big touch screen with access to various console elements. And it’s not just a pie-in-the-sky concept. Studios are being virtualized now. Take, for example, BBC’s Virtual Local Radio (ViLoR) project in which our Axia brand was heavily involved. BBC Technology, in collaboration with BBC Local Radio, recently completely virtualized several of its stations. The studios appear much like traditional ones but with the underlying equipment and infrastructure moved to a central, shared, location. Editorial teams have full control over the play-out system and mixing desks, but the actual audio files are stored, streamed, mixed and processed in a remote data center in real-time. Importantly, the system was designed to ensure that only the back-end equipment is centralized so that editorial and production teams can continue to present from the local community. According to the BBC, this innovative approach helps them solve an important challenge of how best to refresh the equipment and systems used across the BBC’s 39 Local Radio stations as they reach the end of their natural technology life. Updating stations using traditional technology on this scale is both expensive and slow, taking between six to eight months per station. By sharing infrastructure and equipment across multiple sites, the BBC substantially reduced costs, and time to refresh a single station was minimized to only eight weeks! 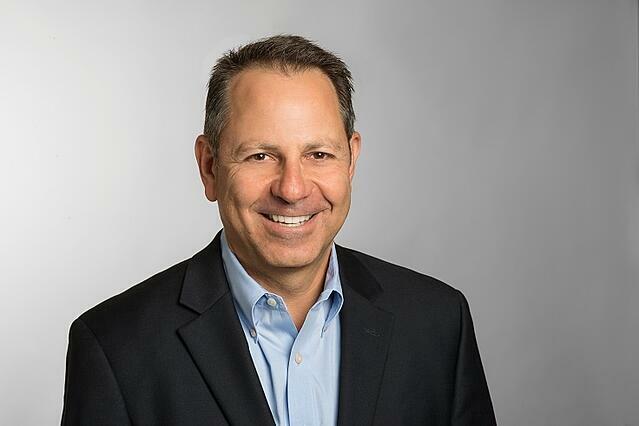 "Broadcast engineers are thinking about taking more advantage of what makes AoIP great–leveraging the IT industry’s push toward virtualization to do AoIP in different ways than we do it today. Enter the next frontier–we call it virtual radio." The lure of a virtual radio station can’t be denied, with the potential for loads of upside. As I mentioned with the ViLoR project, virtual radio is easier and less expensive to update than physical equipment. Imagine having four facilities: When a piece of hardware reaches end-of-life, all four sites have to be updated on site, one by one, studio by studio. AoIP equipment certainly makes this process much easier than the old TDM days. For one, it doesn’t have to be done all in one fell swoop, but can implemented gradually, over time. It also dramatically minimizes the amount of wiring needed and is overall faster, cheaper, and better than analog or primitive digital. Virtual radio takes all this a step further because software can be updated remotely and/or all at once in a central data center, with software updates pushed out simultaneously to every facility. No physical equipment, no site visits. Virtual radio also has the potential to be more reliable than physical equipment. AoIP is already light years ahead of old analog and primitive digital systems in terms of reliability. In an AoIP system, there is no single point of failure, making total system failure a thing of the past. Virtual radio can kick reliability up another notch by running multiple instances of software concurrently in physically diverse locations. Just like AoIP dramatically reduced the amount of TDM cages and racks needed for a facility, virtual radio stands to reduce or eliminate equipment altogether, potentially making those vast equipment rooms – including power and cooling – a thing of the past. And with them, the cost of that associated real estate overhead. By removing much of the physical equipment from the equation, on-site radio broadcasts via mobile radio stations also become that much easier, less expensive, with less equipment, shipping, and configuration time needed to get up and broadcasting live. From a quality perspective, we all know that audio loses something in the translation from format to format. Virtual radio allows the audio packet to remain in its original format with no loss of integrity. Like in an AoIP system, the signal remains pure throughout the airchain resulting in better audio quality. Perhaps one of the biggest benefits of a virtual software facility model is the ability to interact with products from outside of broadcast, like those from the world of computing – a tablet or Windows computer, for example. By using software, you aren’t tied into proprietary hardware and have more options when it comes to designing your system. Another big plus of software is that because functionality is not hard-coded to a specific button on a console, for example, it’s highly customizable, allowing more flexibility as to functionality. Of course, as with any new technology, change happens gradually. Indeed, many of our customers only recently made the move from analog to AoIP, and there are many facilities out there that still haven’t made the switch. What we’re seeing, more than completely virtualized studio operation, is a sort of hybrid setup that uses both physical and virtual gear. For example, your console might be more than a traditional surface – like an Axia Fusion console with traditional inputs and outputs combined with Axia IPTablet Virtual Radio software that puts your most used functions on a touchscreen. Our Axia SoftSurface was a very early cut of this kind of hybrid back when no one ran their consoles on a touchscreen or computer. It was pretty revolutionary, allowing broadcasters to run on a virtual surface yet still have the full functionality of a console. Our newly introduced Axia IP-Tablet includes virtual mixing software module for the Axia xNode that allows users to access the internal mixer inside an xNode; change sources and routes; and control the levels of each with virtual faders. When you combine this software with an xNode you get a fully customizable mini mixer. 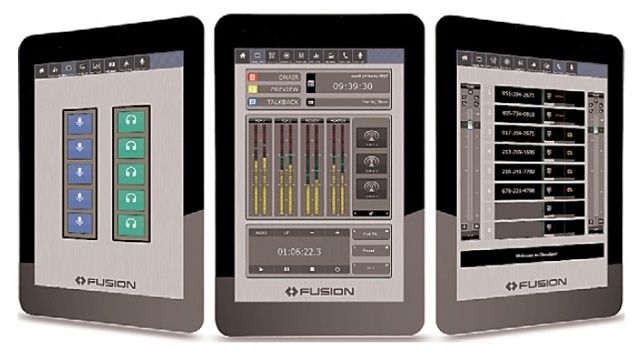 Just like a smartphone, you can add other IP-Tablet Virtual Radio “apps” to create even more virtual radio studio functionality, including those that control other Telos Alliance products like the Omnia.9 audio processor or VOCO 8 mic processor, Telos VX and VX Prime phone systems, Axia PowerStation and StudioEngine, and more. This software-based approach dramatically enhances the functionality and value of your console. Customized facilities are much more available to all broadcasters–not just the ones in larger markets. While virtual radio may not look like something out of Minority Report just yet, one day it might. We are extremely excited about this studio of the future. A studio in which equipment is minimized, overhead is dramatically reduced, site visits are less necessary, updates are easy and simultaneous, redundancy is simple, and reliability is top-notch. In the meantime, virtual radio is here and happening now, and the benefits are obvious. From the pure virtual model to the hybrid system, the concept is not absolute. And while you may have just transitioned to an AoIP studio, it’s never too early to start thinking about virtual radio and what your studio will look like in the years to come. *This article previously appeared in the July-August edition of Radio Guide.